Do you remember what it was like to order a cab before taxi booking apps existed? Back in the days, you had two options- either dial the number of a taxi company or catch a cab on the side of the road. 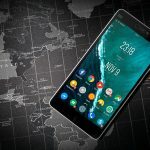 Today, mobile apps are revolutionising the taxi industry with innovative technologies offering alternative solutions for customers and taxi drivers. Customers are nowadays able to book a cab 24/7, see exactly how far away the assigned taxi driver is, and able to pay digitally. The driver on the other side, can accept or decline a taxi request via the app, call the customer in case he or she doesn’t show up and offer different methods of payment to make the transaction go quicker and smoother. 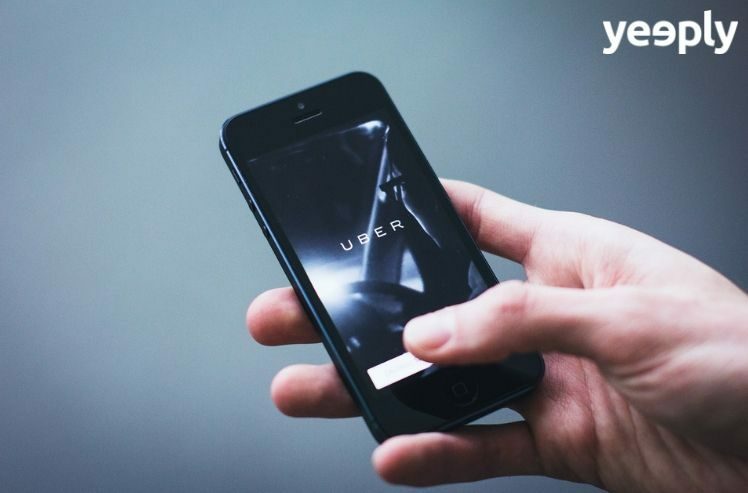 Major players such as Mytaxi, Uber, and Cabify showed it’s a profitable business strategy and therefore encouraged many entrepreneurs and small businesses to start a similar taxi booking app to repeat the success. Over the last decade, the number of automated taxi solutions has increased and the popularity of taxi apps are still rising. In this article, we will cover the value proposition and revenue model of a taxi booking app. Also, the functionalities of a well-known taxi app will be discussed in order to get more insight regarding the technical aspects. As taxi apps are two-sided platforms, it’s fundamental to have a value proposition for both sides, the customers as well as the drivers. However, all propositions of a taxi app are meant to result in a reduction of search costs and transaction costs, which is exactly the key feature of a multi-sided platform. It’s important to keep in mind that these value propositions are examples and should be considered as “general” ones. Besides being aware of the possible value propositions for both the rider and the driver, we will now try to get more insight into the revenue model of a taxi booking app. In order to explain this as simple as possible, we are going to take a closer look at the well-known taxi app of the American company Uber. Let’s find out what their source of income is. Remember when everyone used to ride in the same typical yellow or white taxis? Those days are over thanks to the possibility of letting customers choose the vehicle they want to be driven in. Uber, for example, has not limited itself to a specific type of car nor a particular segment of customers. There is Uber X, Uber Black -for those who prefer to travel in a black car, Uber Taxi -for those looking for a more economical solution, and Uber SUV -for those who want more luxury. They are providing their customers with the option to choose the car they want to ride in, which gives them a whole new taxi booking experience. A powerful aspect of the Uber app is their compelling pricing strategy. Taxi companies generally increase ride fares when there is more demand than supply. Uber instead, charges the customer a fare based on traffic density and the time taken to arrive from point A to B. Also, the price per mile automatically changes depending on the number of available drivers and the number of requests made by people who need a ride. This pricing algorithm is supposed to encourage drivers to hit the road when they’re most needed. Uber now offers boats, helicopters and other additional transportation options. In addition, they launched a motorcycle-pickup service in Paris, a delivery service in San Francisco, and an ice-cream-truck-delivery service in a few cities. However, these options are only available in specific cities but have resulted in new revenue streams to add to their business model. Now that we looked into the value proposition and revenue model of a taxi booking app, it’s time to dig a little deeper and look into the basic functionalities of such an app. Again, we will use the Uber app as an example to make it easier to understand. From our experience as app development specialists, we know that the technical aspects of an application are not always easy to understand. Let’s start with the basics and find out what every functionality is used for. Signup facility. The option to log in through either Facebook login, Google Plus login or the regular way – with a phone number & password. Offering the option to log in through social media enables the app to transfer personal information into the app within seconds. In addition, It’s important to distinguish the difference between users and drivers while they enter the app. Personal profile. Users and drivers can add, edit or delete their personal information at any time through the app. Email templates. Notification emails are useful to send out payment details, travel details, transaction confirmations, wallet information or to fix a forgotten password. Car searching feature. In order to get the client a taxi as quick as possible, Uber integrated the car searching by minimum kilometre option. This enables the customer to filter only the closest taxis that are nearby his or her location. Availability of cars. If the status of the car is active, users can request a ride. Once a car is booked, its status will automatically become inactive, so the driver doesn’t have to change this manually. For the user, once the taxi request got accepted, it’s not possible to change the destination anymore. Fare estimation. As the revenue model depends on the paid fares, it’s important to include an estimation mechanism. This way the app is able to accurately calculate the travel fare based on the standard prices for a particular distance. Multiple payment options. The option as a customer to pay cashless with a debit or credit card. Another option is to transfer money to the app wallet and save it for future use. Map facility. Integrating Google Maps helps to calculate the distance and route between point A and B. Besides, it enables to determine the location of the customer when looking for a taxi and enables him or her to keep track of the driver’s location after the taxi request got accepted. Car categories. This feature enables the customer to choose the type of car when booking a taxi ride. This way different target groups can be reached with one app. Car listings. This enables the drivers to set up a list of vehicles they use for their taxi service. Details of already listed cars can be edited or deleted easily. As the app owner, it’s possible to see this list of all drivers in one overview. Promo code and free rides. Every time a new Uber user registers with your promo code, he or she will get the first ride for free. When this person had its first ride, you get your next ride for free. History details. In this overview, customers can see the details of their past and upcoming rides like the date, pickup & drop location, total amount, driver and car details. For the driver, this list basically includes the history of taxi rides that occurred by using the taxi booking app. City management. As the app owner, you can add cities that you like to include in your business. The feature enables you to directly activate your cab booking app in a specific city. In case things are not working out, the city can be removed easily. Multi-language. If the taxi app is available in different countries like Uber, make sure to give it a regional touch by offering the app in the adequate language(s). Convenience and offering an alternative to the traditional way of ordering a cab are cited as major reasons for the popularity of cab apps. They shake up an industry that has been doing the same thing, the same way, for a very long period of time. The majority of taxi industries worldwide have rates that are regulated by the local government. Instead, taxi booking apps create a free market for taxi rates and give customers the possibility to personalise a taxi ride.